Welcome to Petography Cville! We are passionate about animals, and love to photograph them. Animals don’t worry about whether their hair looks good. They don’t think about looking fat or whether they have something in their teeth. They just are who they are. And we love to capture that! Jen Skipper has been a professional photographer for over 13 years. She has a Bachelor of Fine Arts degree with an emphasis in Photography from Sewanee, The University of the South. Jen loves the challenge of photographing animals who won't sit still, won't look where they're supposed to, and would rather look bored than happy. Miette Michie has a Bachelor of Fine Arts degree from Grand Valley State University. For over four years Miette has volunteered at the Charlottesville-Albemarle SPCA, capturing cats, kittens, dogs and puppies with her camera. These photos have helped many animals look their best in hopes of getting adopted. 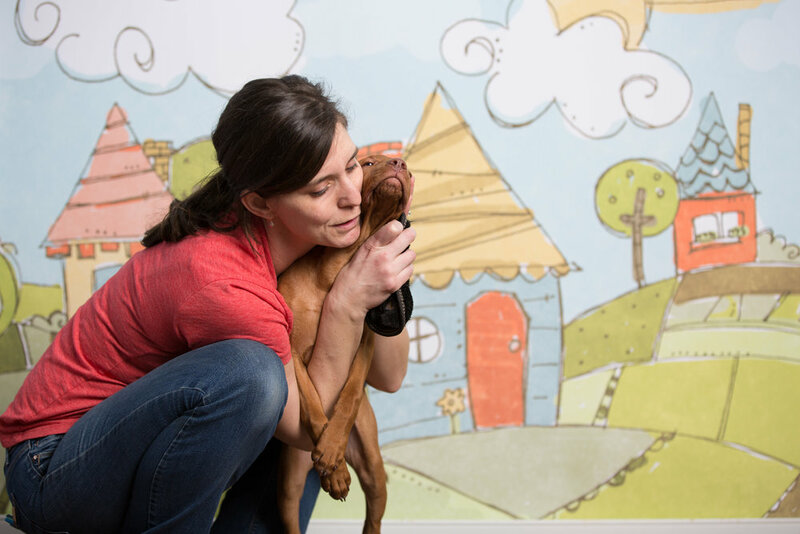 A life-long animal lover, Miette is looking forward to using her artistic eye and training to highlight your pet's best features and personality. We would love to capture the personality of your pet! Contact us for pricing and to set up your personalized session.